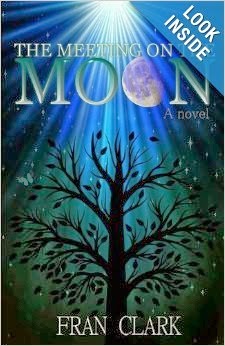 "The Meeting On The Moon" by Fran Clark is a young adult Christian novel that deals with the growing problem of bullying with compelling characters and an engaging story. The story is about eleven-year-old Andrew Carmichael, a victim of bullying. Although he is athletic, intelligent, and likable, the school bully, Luke, targets Andrew on a daily basis, verbally and physically abusing him. The situation haunts Andrew constantly, and he doesn't know who to talk to or what to say.Clark writes dynamic, true-to-life characters; you'll find yourself feeling for Luke as he struggles with the bullying. The writing is perfect for young readers (although adults can enjoy it, too), with great dialogue and age-appropriate vocabulary. The plot is easy to keep reading, yet affecting, and does not feel overtly like a lesson (although there is so much to be learned from the novel). As a Christian book, Clark does an excellent job describing how Andrew turns to his faith to find strength for dealing with the bullying. Overall, if you're looking for a powerful, well-written book on faith and bullying, "The Meeting on the Moon" is the perfect book for you.